We offer you a warm friendly atmosphere, five newly decorated en-suite bedrooms, delicious home-cooked food in our dining room and a great selection of refreshments, including real ales, in the Tai'r Bull bar. 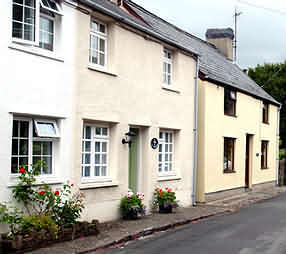 Brecon accommodation in friendly Brecon hotels, B&B, Bed and Breakfast, homely Guest Houses, cosy Holiday Cottages, congenial Country Pubs and Inns, luxurious Brecon Country House Hotels and Caravan and Camping sites. An air of elegance and calm informality pervades this exquisitely furnished Welsh country house. Standing serenely in its own fifty acres of parkland, with sweeping lawns, rhododendron lined pathways and riverside walks, this magnificent retreat is comfort epitomised. The Lake Country House is calm and comfort epitomised. Beautiful lounges, cosy corners, the elegant restaurant, fabulous bedrooms and smart functional business suites. Everywhere you look there are beautiful paintings, fascinating features and furnishings. Each of the supremely comfortable bedrooms has its own charm and character, with elegant fabrics, period furniture, pictures and books. Every room has a private bathroom, direct dial telephone, television, and an extremely homely feel. The suites have beautifully appointed sitting rooms, and are furnished with the thoughtful attention to detail seen throughout the house. The Kingfisher Spa is our wonderful new purpose-built centre opened during the summer of 2005.
luxurious facilities and service for our Hotel guests. 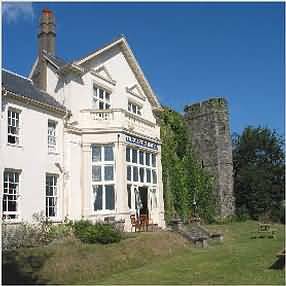 Originally built as a gentlemen's residence, in the early 1700's, it took on the role as a coaching inn. The history of the hotel can be traced back through hundreds of years from before the time of George I. Traditional elements such as the central staircase which is over 300 years old enhance the character of this charming 16 bedroom hotel. Today, 'The George' enjoys a reputation unrivalled in the area for providing our guests with superb hospitality and modern luxury whilst maintaining elements of the traditional styling for which it has always been known. 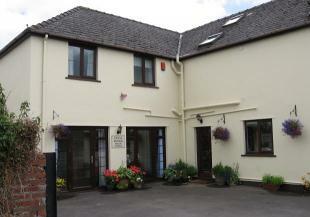 Set in the County town of Brecon, in the heart of the magnificent Brecon Beacons National Park. The hotel has been family owned since 1989 and this we feel allows us to provide that extra personal touch. Whether you are in the Brecon area or here to enjoy a holiday, a warm welcome awaits. 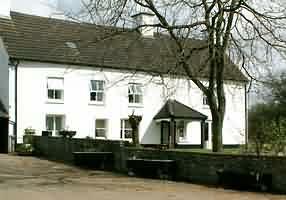 Located within it is a small gem of a place called Peterstone Court. A place for those who love the country – not just country house hotels. Inside you’ll discover understated luxury, attention to detail, and instinctive hospitality. There are eight bedrooms in the main house and four split-level bedrooms in the converted stable block. The rooms have a deep comfort,contemporary décor, original features, fine linens and above all - lots of space. Enjoy the wonderful Welsh hospitality that is offered at Peterstone. We never lose sight of the fine balance between a relaxed style and an attentive service. 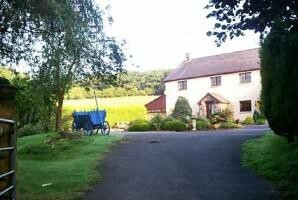 We can cater for your every need from peaceful walks in acres of stunning countryside to fishing in the River Usk. Return to a glowing log fire, leave your wellies by the front door, and drink fine brandy in the library. Workout in the fully equipped gym, relax in the Jacuzzi and pamper yourself with one of our many available treatments. 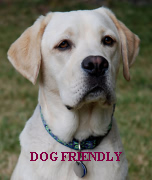 Dogs welcome £10 per day. Includes dog basket, blanket and treat . 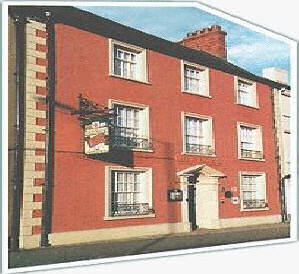 The Brecon Castle Hotel is a hotel of charm and character, built around the walls and tower of Brecon Castle. 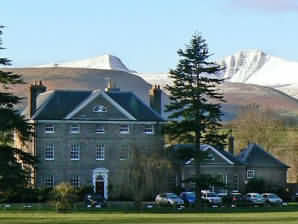 It is located right in the centre of the Georgian City of Brecon, but still with extensive grounds and beautiful views all around to the Brecon Beacon mountains. 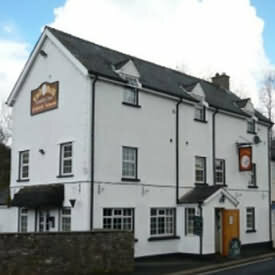 With 40 comfortable bedrooms and an excellent restaurant and bar, this is a fine base for enjoying the Brecon Beacons. And four function rooms for 10 up to 160 are ideal for weddings, meetings, conferences, dinners and banquets. The hotel is non-smoking. No pets allowed. Easily accessible and central location. tea/coffee making facilities, radio and telephone. Note: we do allow pets in the hotel. Guests with allergies need to be aware of this. 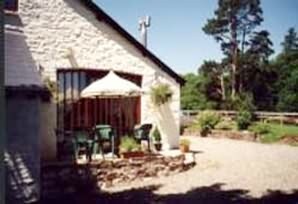 You will find a friendly and relaxed atmosphere at our converted farmhouse, Plas-y-Ffynnon. It has some of the best views in Breconshire, into the stunning scenery of the Brecon Beacons National Park. Looking at the peaks of Pen-y-Fan and Corndu from the conservatory you just can’t wait to get out amongst them! 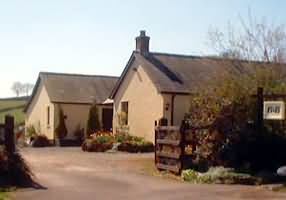 Plas-y-Ffynnon is a typical stone built farmhouse in the quiet village of Battle, near the market town of Brecon. The spacious rooms are all well appointed and comfortable, with TV, hairdryers, tea and coffee making etc and most have spectacular views of the Beacons. There is a large lounge and dining area for guests, and we are very flexible about Breakfast times for those who want to get out on the hills early, or some that prefer a leisurely start to the morning. Plas-y-Ffynnon is ideally located for a range of outdoor activities including walking, mountain biking, canoeing, horse riding and many more, with a good stock of local maps and bike trail guides and a great drying room for all your kit. 01874 611199 01874 611755 gil@badhamg. this recently restored Georgian town house offers exceptional standards of comfort and hospitality. Stephen and Melanie Dale extend a warm welcome and offer a high degree of personal attention. The Beacons was once a riverside farm and the 17th Century barns and cottages still remain. The front part of the building was added in the early 1700's and the house has changed little - apart from modern comforts and decor. The original spiral staircase, moulded ceilings and even the meat cellar (now a cosy bar) all add to the character and atmosphere of this lovely home. The comfortable, well equipped bedrooms are individually styled and full of charm. An ample private car park and cycle security store are provided for the exclusive use of The Beacons' guests. Enjoy your breakfast in the relaxing and informal Beacons dining room. Our dishes are prepared using the freshest local and seasonal produce. Each cooked breakfast is freshly and carefully prepared in our kitchen by your hosts, Mel and Steve Dale. Please note we do not accept pets. 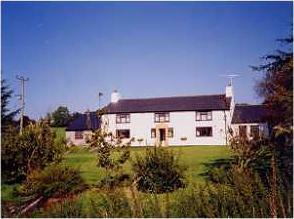 Llanbrynean is a fine traditional Victorian family farmhouse. Situated in beautiful peaceful countryside on the edge of the picturesque village of Llanfrynach which is in the heart of the Brecon Beacon National Park, 3 miles south east of the market town of Brecon. An ideal location for walkers and those who want to explore the National Park area. The Brecon Beacons rise behind the farm, and the Brecon/Monmouth canal flows through the fields at the lower end of the farm. Llanbrynean is a working family sheep farm and the house has wonderful pastoral views and a large garden.The house is spacious and comfortable and has a friendly, relaxed atmosphere. We have two double ensuite bedrooms and one twin bedded room. All bedrooms have tea and coffee making facilities. There is a sitting room for guests' use and a television. Excellent pub food can be had within easy walking distance, and there are a good variety of local pubs in the vicinity, all offering evening meals. We are alongside the Taff Trail, a popular cycling path, which goes from Cardiff to Merthyr Tydfil to Brecon. A warm welcome awaits your arrival with a cup of tea and homemade cakes. For those whose idea of a perfect holiday is escaping to a rural idyll where the gentle pace of life allows the true beauty of the Welsh countryside to be enjoyed at its very best, then Caebetran Farmhouse may be the perfect place for you. There are three bedrooms to choose from each with its own en-suite bathroom with bath and shower, colour television, iron and hospitality tray including many extras to make your stay special. All benefit for complete peace and quiet, so guests can get a great night’s rest and wake up to the sound of birds chirping and the nosy sound of silence. A full Welsh or Continental Breakfast is served in the guest dining room which as separate tables. Delicious home-cooked food is Hazel’s speciality, using fresh local ingredients wherever possible, who has been making her guests feel welcome for over 16 years and many keep returning year after year. You are also welcome to bring your own wine. There is also a comfortable guest lounge with colour television, video and stereo, which is ideal space to relax in after in after a hard day’s exploring or just sit and relax if you want a quiet day in. Caebetran is a typical Welsh working farm and guests are welcome to explore the Farm, watch the animals being fed and cared for and learn what running a successful farm involves. a working family farm in the heart of the Brecon Beacons National Park. 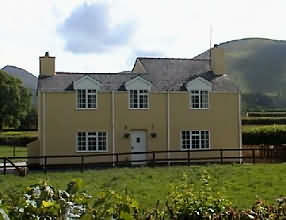 This Five Star farmhouse is situated 8 miles west of the historic market town of Brecon. The ambience is relaxed and informal and offers exceptional accommodation and comfort for discerning guests looking for something special. The peace and tranquility of this quiet but accessible location provides an ideal base whether your priority is relaxation or active exploration of the surrounding,unspoilt countryside. Having been lovingly refurbished to a high standard, this traditional Welsh farmhouse has a wealth of charm and character with exposed beams and stonework, inglenooks and original oak doors. Enjoy delicious farmhouse breakfasts based on local fresh produce, or something lighter if you prefer. 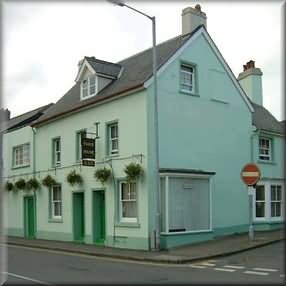 Evening meals are available locally at the friendly country pub, a pleasant 15 minute walk from Blaencar.The charming en-suite bedrooms, with king-size beds, offer all facilities providing a unique blend of comfort and luxury. Blaencar now has a new luxury suite,completely self-contained, adjoining the farmhouse.Retaining much of the original character of the old stable, the spacious suite comprises a double room with king-size four poster bed and a bathroom with bath and shower. A cozy lounge with television and video adjoins a well equipped oak kitchen. 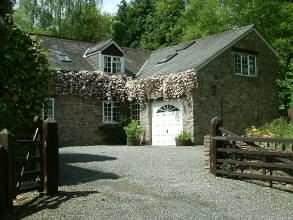 Penpont is one of the finest houses situated within the heart of the Brecon Beacons National Park. It offers a unique experience for you, your family and friends to enjoy a self-catering holiday in The West Courtyard Wing. The self contained Courtyard Wing can be found to the rear of the main house. It has its own entrance through an enclosed courtyard and can sleep up to 17 people within six bedrooms. The building, which was originally the servants’ quarters, is reached by a flight of steep wooden stairs to the first floor. There is a Sitting Room with an open fire, TV, video and comfy sofas. The Kitchen is spacious and well equipped with a large table to seat everyone; there are 2 fridges, dishwasher, microwave, warming cabinet& CD player. In the Courtyard there is a boiler room to dry boots & coats and in the old wash house is a ping pong table. There is plenty of space to store bikes etc in the stables. For the warmer and dryer months there are tables and chairs in the courtyard along with a BBQ barrel and home produced charcoal. Welcome...Felin Glais (Mill by the steep sided stream) is a 1650(Circa) Barn and Beast House which lay in ruins for many years. It was sold by auction in 1977 for the princely sum of £6100. The new owners demolished all but one wall and took 10 years to rebuild it using the original stone and oak beams from a stable block of a local Manor House. Internet facilities are accessible for a small charge. There is a separate no smoking sitting room should guests require it. Garage space is available to store bicycles. Local equestrian is happy to take small parties including children for riding tuition or pony trekking. Hair Dryers and hot brushes are available in all rooms. The ground floor has a kitchen which should be completed during the next 12 months and will eventually be the breakfast room. There is a guest w.c. downstairs and a laundry room. A small charge is levied for serviced washing and drying of laundry. Ironing facilities are available for Guests to use. A travel cot is available. Please note we have no facility to accept debit/credit cards. 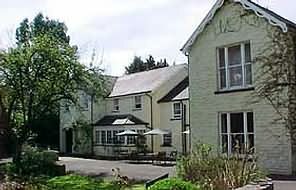 Maeswalter is a 300 year old farmhouse situated in the mountainous Brecon Beacons National Park which divides naturally into three well-defined upland areas, the wild Black Mountains of the west, the gentler highest peak, the Brecons themselves. Separating these last two ranges is the Monmouthshire and Brecon Canal, 33 miles of scenic waterway, perfect for boating, fishing and easy towpath walks. We are surrounded by breath taking scenery, a haven for wildlife including Red Kite, Siskins and the Red Start, peace and quiet and an ideal place to unwind and relaxed in complete tranquility. 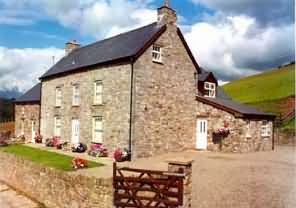 We offer comfortable bed and breakfast and a warm friendly welcome in this 17th century non-working farmhouse situated in the quiet and picturesque valley of Heol Senni 9 miles west of Brecon. Tastefully decorated and comfortable en suite and standard bedrooms with H&C vanity units, remote control colour TV, tea/coffee facilities, magnificent views across the Senni Valley. Home Cooking. Excellent touring, fishing, walking, pony trekking, hang gliding and birdwatching area. Heol Senni is a farmers hamlet of unspoilt natural beauty. We are situated less than five minutes walk from the centre of Brecon, a compact market town with all the usual facilities: pubs, great outdoor shops, two bike shops, cycle hire, theatre and cinema. We have the essentials to enjoy your stay in the National Park. Log fire, comfy sofas, home baking and hearty casseroles. We offer good value for money as we are here for fun as much as business, having fled the city for a healthier life in the hills. For 2007 we now have two double rooms and a twin room. They are designed to be simple in decor, but provide quality where it matters for a good night's sleep. We have good mattresses, down pillows and duvets, with Egyptian cotton bedlinen. Bedroom 1 is at the front, a large room with a double bed and a folding single bed. It also has a sofa and TV. It has an ensuite bathroom with a great powerful shower. Cost is £50 per room per night, or £55 if the fold out single bed is used. Bedroom 2 has a double bed and a washbasin, and shares the adjacent large bathroom with bath, shower and plenty of drying space, with room 3. Price £40 per room per night. Room 3 has two single beds, and a washbasin and shaving mirror. Bathroom is shared with room 2. Price £40 per room per night. In its own grounds and nestling in the peaceful Tarrell Valley, Cyfronnydd is situated on the old drovers' road leading to the most popular starting point for walkers to reach the peak of Pen-y-fan (886 metres). An ideal location for those looking for a quiet and secluded setting in which to explore the surrounding countryside for a few days, it is also a convenient halfway stop-over for travellers to North or West Wales. All bedrooms have colour TV/video and tea/coffee making facilities and many thoughtful extras to ensure a comfortable stay. Breakfasts are served using all local fresh produce. Guests are invited to sit and relax in the gardens whilst enjoying the magnificent views or tuck into a barbeque (by arrangement). There is a large private parking area and a lock-up for bicycles. Castle House provides comfortable bed and breakfast accommodation at the foot of the original Castle Keep. It stands on the bank of the River Honddu, in the delightful Mid-Wales market town of Brecon, just an hour from the capital, Cardiff. 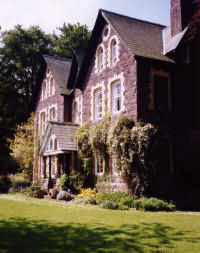 The house was built in 1862 as the Headquarters of the Brecon and Monmouth Railway, and is a Grade II listed building. Postern, the medieval road between the Castle and the walled Cathedral, is just a few minutes walk from the centre of the town. Extensively refurbished, Castle House offers four comfortable double ensuite rooms. The rooms all have TV, alarm radio and Tea/Coffee making facilities. The house is centrally heated, and the lounge/breakfast room has a wood-burning stove, making it an ideal place to relax during the day or enjoy a drink in the evening. Private parking is available. This is a no-smoking house. All room rates include full breakfast and service. We regret there are no reductions for children. We let our rooms for double occupancy. 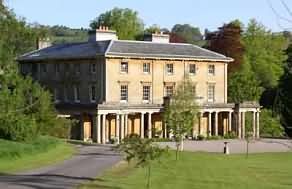 We charge £60 per room per night. All of our rooms are doubles. Single occupancy incurs the same charge as double during High Season (Easter – October). In low season there is a 30% discount for single occupancy. at Derwen-Deg their beautiful B&B Brecon Beacons accommodation in Mid Wales. 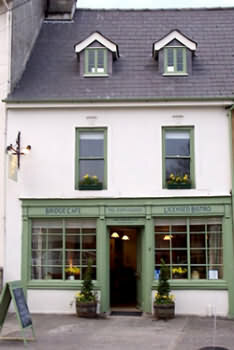 We are situated 10 miles west of the market town of Brecon in a small pretty country village known as Trecastle. A couple of minutes walk away there is a pub and a hotel, both of which offer a warm welcome and excellent food and drink. £ 25.00-£30.00 per person per night including full cooked breakfast or other choices available to suit your requirements, please ask. 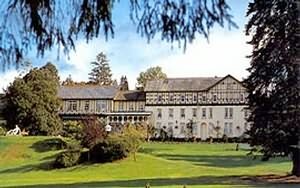 Bryndu is close to the towns of Brecon, Builth Wells and Hay on Wye where there are numerous places to see and things to do in the surrounding area. If you are looking for somewhere to stay for a short break in the peace and quiet of the surrounding countryside or interested in the Brecon Jazz Festival, The Royal Welsh Show at Builth Wells or the Hay on Wye Book Festival then Bryndu Farm is ideally situated. Bryndu Farmhouse is open all year. This is a no smoking establishment. The farmhouse has been lovingly refurbished to a high standard has a wealth of charm and character with exposed beams and stonework, and offers double and single room accommodation complete with en-suite facilities. Children are welcome but sorry no pets are allowed. Internet service is available to visitors. Drying facilities are available for wet clothes, boots etc. Home baked cakes and tea will be available on your arrival. In the morning a hearty Welsh breakfast based on local farm fresh produce will be served or a lighter breakfast if you prefer. 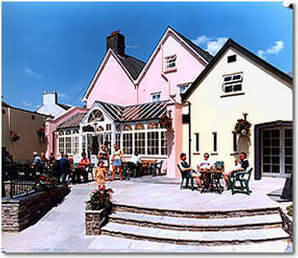 There are several local inns and restaurants within a short drive for evening meals. Packed lunches or evening meals can be provided on request. Mary and Wayne will try to ensure you have a happy and comfortable stay on their farm. with a little help from our children, Angharad and Tomos. We aim to provide a warm and friendly atmosphere, as well as being a small business this is our family home. We are within easy reach of shops, local pubs, excellent scenery walks, the Brecon-Monmonth Canal and the local theatre. may be charged during peak periods. Newly renovated. Warm and comfortable. Set in the foothills of the Brecon Beacons within the heart of the countryside with walking, cycling or riding from the doorstep.The cottage is situated within the grounds of the owners property. It is one storey incorporating oak beams, oak floorboards in the lounge and bedroom and traditional stone floor in the kitchen. It has one bedroom. The cottage is warm and comfortable with under floor heating, ensuring a warm welcome in the colder winter months. It is furnished to a high standard where traditional & modern has been tastefully mixed. A substantial welcome pack is on hand to get you started for a snack on arrival and for your first breakfast. This is an ideal base for exploring this beautiful area of the Brecon Beacons National Park whether walking , cycling, touring or just a “get away from it all ” break. All bed linen, towels and utilities are included. Kitchen :This is equipped with modern oak units, full size oven , microwave,washing machine, dishwasher, fridge, etc. Lounge: This area is open plan to the kitchen. It is comfortably furnished and is equipped with Sky TV, DVD, Video and Hi Fi. There is a sofa bed if extra sleeping accommodation is required. Shower Room: Comprises a large shower, toilet and hand basin with shaver point. There is also a speaker from the Hi Fi - should you wish music to accompany singing in the shower!! Bedroom: There is a double bed, wardrobe and clothes chests. A hairdryer is supplied. Parking: Ample parking is directly outside the property. Situated 500 yds outside the pretty village of Pennorth, 5 miles east of Brecon, Glaslyn is a 60s architecturally designed house which sleeps 12 in 6 bedrooms. 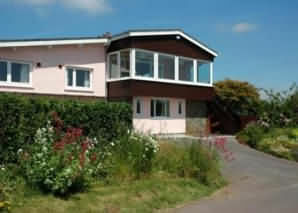 Its style is unique in the area and boasts fantastic panoramic views on 3 compass points. It is situated in an entirely private and peaceful location. The house has a huge open plan living and dining area, with a modern dining table with seating for 12 and comfortable leather settees and is equipped with TV, DVD, Video and CD. Off the living area is a sun lounge with wonderful views of the Usk Valley. A new kitchen has been installed and includes a range cooker, microwave, fridgefreezer, dishwasher, ample storage space plus an additional fridge as well. The kitchen looks out over farmland behind and you can closely watch the birds nesting just outside. There are six bedrooms at Glaslyn, with lovely views of the surrounding countryside and gardens. Glaslyn has been completely modernised throughout, with a comfortable and contemporary style. The Gardens, which are well established and full of colour, surround the house, with the main garden fully enclosed. A superb patio and barbecue area has been laid enabling outside dining and appreciation of the peace, tranquility and fresh air. Do you need a break from the day to day grind? There could be no better place to spend time than in the glorious green countryside of the Brecon Beacons National Park. 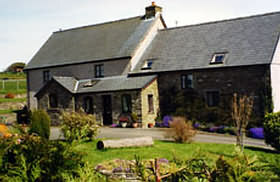 The two cottages have been sympathetically converted from existing farm buildings. At one time Nyth y Wennol would have been a hive of activity as this was the old dairy where butter and cheese were made for home use and for sale. Bryniau Pell has been converted from a cart shed and hay loft - traditionally an ideal place for the farm lads to court their true loves. Both cottages boast well equipped new kitchens with electric cooker, microwave, fridge/freezer, dishwasher and coffee maker. There is a shared utility/boot room with auto-washing machines and tumble drier. Each cottage has a collection of books, videos and board games as well as fresh spring water which is tested every year. They are also equipped with 'allergy friendly' pillows and quilts etc. Children are very welcome with cots, fireguards, stair gates and high chairs available in both cottages. There are pretty gardens with tables and chairs and Bar-B-Q's. For children there is a shared, enclosed play area with a variety of equipment and a play room for all year round enjoyment. Sleeps 5, 3 bedrooms. A well fitted and very well equipped spacious kitchen with a washer/dryer, built-in electric cooker with hob, microwave, dishwasher, fridge/freezer, an antique pine dresser, dining table and chairs. A utility/cloak room with a butlers sink and a toilet, ample room for storage of coats and boots. The sitting room has an attractive old stone fireplace with a woodburning stove set on a flagstone hearth and a featured recessed bread oven, comfortable sofa and chairs a TV, video, DVD, radio and CD player and a good supply of books, jigsaws and games. 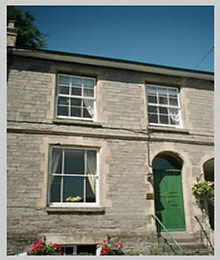 Up a flight of easy stairs to three pretty and well furnished bedrooms with good quality linen. Bedroom one has a double bed, bedroom two has twin beds and bedroom three has a single bed. The family bathroom has a bath with a new efficient power shower, handbasin and toilet. Bedlinen and towels provided. All electricity and fuel inclusive. Electric storage heating throughout. Logs for the woodburning stove inclusive. Cot and high chair. Parking for one car outside cottage, others a few yards away. Pets welcome. Behind the cottage is a raised paved patio area with herbaceous borders, garden furniture and a BBQ. Non Smoking. Mobile phone variable. All electricity is included in the price. - Linen is provided, and towels if required. No smoking, please inside the cottage - Parking for one car outside the cottage. Well behaved dogs, by arrangement. Maximum of 2 dogs allowed. Chargeable at £10 per dog. 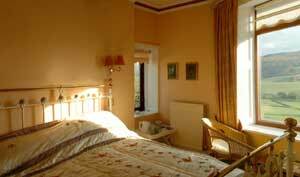 The cottage boasts three comfortable bedrooms sleeping up to 7 people. Additionally a cot is available. Set in the heart of the Brecon Beacons National Park with beautiful scenery, Trosnant Cottage is ideal for walking or cycling holidays or for those simply wanting to enjoy an idyllic rural location. It is also a good base for exploring the many attractions in the area and further afield. Upstairs we have a family bathroom. Downstairs there is a further toilet and cloakroom. Adjacent to the cloakroom there is a utility room complete with freezer and space for those muddy boots. 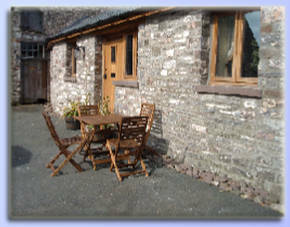 The large kitchen is well equipped with cooker, microwave, dishwasher and fantastic views of the beacons. The kitchen leads on to a spacious dining room with a comfy sofa. Additionally there is a cosy lounge with a television and electric fire. There is also a separate cosy lounge with a television and electric fire. and arguably the best views available of the Brecon Beacons. Canal Bridge is the ideal venue for your family holidays, reunions and celebrations, or simply as a base to enjoy the many attractions on offer in this unspoilt area of Wales.Canal Bridge is a 6 bedroom house, comprising of 2 x doubles and 4 x twins, sleeping a maximum of 13 persons. The Brecon Canal, Marina and Theatre are only a stone's throw away, whilst the Town Centre and River Usk are within a two minute walk. Its convenient central location offers an ideal base for exploring the Brecon Beacons, perfect for walkers and cyclists, having lockable bicycle storage, wash down facilities and drying room. Providing self catering accommodation for up to 13 people, sleeping in 6 comfortable bedrooms, all with private bathrooms. Come and discover this beautiful area where you can be assured of a warm welcome and a pleasant, comfortable stay. Now with wi-fi. Whatever your requirements, we will do our best to help. Canal Bridge holiday home offers all the facilities of a comfortable, modern home, with full central heating and double glazing. We have recenetly added Wi-fi to the property. Four of the bedrooms are en-suite, the remaining two having their own private bathrooms. All Bedrooms are decorated in neutral tones, furnished with wardrobe, chest of drawers, bedside cabinets and chairs in each, with blackout blinds, kingsize duvets on double beds. The en-suites have shaver points, with mirrors and light. Beds will be made up on arrival, with spare pillows, blankets and hairdryer available. Bath towel and hand towel supplied for each guest. The ground floor has a large lounge seating 14, with 40" widescreen tv and gas fire, with french doors leading out onto a secluded, private courtyard. The kitchen is spacious and ideal for entertaining, with seating for 14. It is equipped with dishwasher, washer/dryer, microwave, gas hob and fan assisted electric oven, large fridge and under counter freezer. A cot and high chair are available on request. The large games room has a 40" widescreen tv, with dvd player and wii games console, IPod docking CD Player and Pool table. We have a wide selection of games, books and toys available. The ground floor has a shower room, ideal for washing down plus a drying area, with generous facilities for hanging coats/waterproofs plus a shoe rack for drying out shoes and boots. Price guide for one week is from £950 - see our website for further details. "Welcome to the Tai'r Bull"
"Croeso to the Tai'r Bull"
to ourselves though of course and would be delighted to welcome you as our guests. Tai'r Bull Country Inn features five beautiful themed en-suite bedrooms; including three double rooms, one superior room and one single room. WiFi is available. A full English cooked breakfast is included, as well as a selection of cereals, bread/toast, jams, preserves, fruit juices, tea and coffee. Here at the Tai'r Bull we are truly passionate about our food and offer a great menu of delicious home-cooked food. We believe in supporting local farmers and traders so we aim to source our ingredients locally. Our bar is well stocked with beer, cider, wine, spirits, as well as excellent real ales. Situated 2 miles east of Brecon, we are in an area of outstanding natural beauty, with panoramic views to the peaks of the Brecon Beacons, ideal for your holiday exploring this attractive part of the world. Cosy, beamed bars and restaurant offer excellent value and choice, with a menu resourced largely from fresh local produce. Food is served lunchtime and evenings with real ale and good wine to accompany. 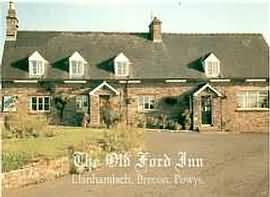 Our aim at The Old Ford is to offer clean, comfortable, Bed and Breakfast accommodation at affordable prices. All our rooms are full en suite (some with bath), with colour television and hospitality trays, just right after a hard days sight seeing or a lazy day in town! Accommodation available ranges from single through double, twin and family rooms. Enjoy a hearty breakfast, full English or vegetarian, in our breakfast/dining room.